Home Exercises For Lower Back Pain! Check Out These Home Exercises For Lower Back Pain! It is only natural for you to want to lay around an do nothing if you are suffering from lower back pain. This might be okay for a few days, but laying around is not going to benefit you for long. I know this because I learned it the hard way! I did not begin to actually feel relief in my lower back until I began to regain strength in my lumbar region. Today I would like to share with you five Home Exercises For Lower Back Pain that I use to this day. The fact is, prolonged time spent laying around and doing nothing will only add to your problem. The longer you lay around the tighter and weaker your muscles will become. The tighter and weaker your muscle become the less they can preform as they should. There are many muscles that pull on your spine and hip joints, often in opposite directions. If one set of muscles becomes stronger than the opposing set of muscles it creates an imbalance. That imbalance could cause you all sorts of grief. From muscle cramps all the way to, in some cases, worsening your injury and limiting your mobility. Two Things To Consider For Back Pain! If you find that your back is easily thrown out, or you suffer from back muscle fatigue leading to pain. Chances are that your core muscles are not in the shape that they should be. If you suffer from a lower back injury this could be even more of a problem. When you have an injury you typically become less active. Less activity leads to more laying around, and we know where that leads us. Here are two thoughts that I want you to consider. First, “an object in motion tends to stay in motion”. What I mean here is that it can be very difficult to get back into an active life once you have stopped. The second thought I want you to consider is that “motion is Lotion”. Ever wake up stiff and sore, struggle to get to work or where ever you had to go? But then an hour later you are feeling a little more mobile and loose. That’s the motion doing it’s thing! At this point you have everything warmed up and your blood is flowing. You have your muscles engaged and working, rich with blood, oxygen and the nutrients they need. I know, I know! Brendon whats the point here? Well my point is that it is pretty important to keep your self from becoming inactive. Also it is pretty important that you keep your core muscles balanced and well stretched! Here Is What The Experts Have To Say! Everything you have just read is what I have learned along the way from my own experience. I blew out my back about ten years ago and I have lived the up and down roller coaster ride of life with a lower back injury. I chose to pass on the surgeries, I found that it was not the path for me. However what I did do was also not the answer! Basically I became a couch potato and put on a lot of weight. That has made my journey a long and hard one as I battled to get back into shape. If only I would have not let it go for so long, not allowed myself to get so out of balance. That is why I wanted to share these 5 home exercises for lower back pain with you. My goal is to help you avoid the the path that I went down. Look you don’t have to take my word for it. Take a look at what the experts have to say on this matter. Here is an article published in the Journal of the American Medical Association(JAMA). What it basically says is that some form of exercise is the best way to ease pain and reduce your chances for future back pain flare ups. It can be core strengthening, aerobic exercise, or stretching, it really doesn’t matter. In my experience a healthy balance of all three options works best. Here Are Five Home Exercises For Lower Back Pain! Now I am not saying you need to train as if you were an Olympic athlete. Quite the opposite, you should start out with a slow and steady approach. If you already have an injury there is no need to make it worse by going to fast. Also remember, even if your problem does not involve an injury. Your core back muscles may be weaker than those around them. In this case there is no need to train to hard and create an injury. Meet Injury Specialist Rick Kaselj MS.! As far as strengthening my back goes. It was not until I was introduced to injury specialist and exercise Physiologist and Kinesiologist Rick Kaselj MS.
Rick is the creator of the Fix My Back Pain training program. That program has turned out to be the single best thing that has happened for me regarding my back injury! All of the core strengthening exercises we are going to look at today are things that I learned from Rick and his program. These exercises are great for hitting those often forgotten core muscles. So without further ado. Allow me to present to you with five great home exercises for lower back pain. The goal of this exercise is to work on your mobility and movement throughout your entire spine. Start out with you feet spread about hip width apart. Slowly bend forward hanging at the bottom through your hips. Now slowly work your way back to the upright position. Try to get movement at each position of your vertebrae. 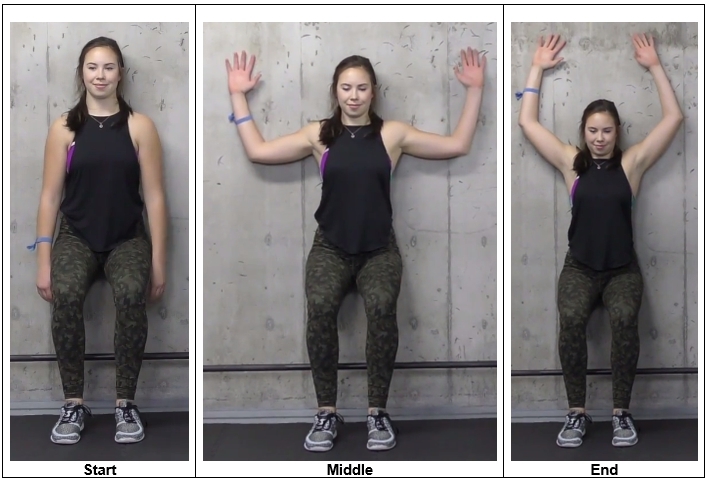 Begin with one set of three reps and build to up 5 reps. Preform this exercise with a controlled and fluid motion as you return to the standing position.. This is a light intensity exercise that you should feel through out your entire back. This exercise has two purposes behind it. The first is to strengthen your abdominal muscles to help your back. The second is to strengthen up your hips and knees for added support of your spine. In this exercise you will want to focus on proper movement of your upper body. Move through your hips instead of your spine, keeping your upper body working as one unit. Start out with a nice wide stance with the ball in a high position. Standing with your knees slightly bent. 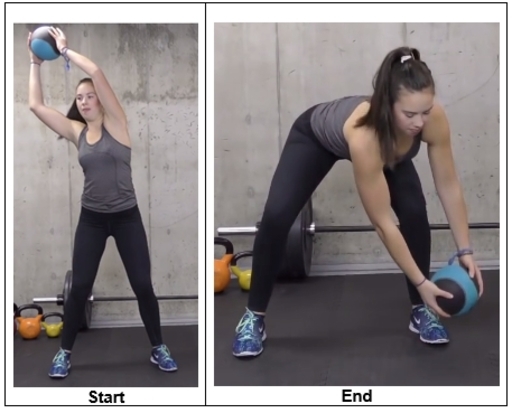 Bring the medicine ball across your body into the lower position. Slowly return upright holding the medicine ball over your head. Now you are going to repeat the move on the opposite side, completing one full rep. Begin with one set of five reps(both sides equal one rep). Build your way up to ten reps. Complete this exercise in a smooth and controlled movement, with a slight pause at the top and bottom of each rep. This exercise can be light to moderate in intensity. That will depend on how heavy the medicine ball is and on how quickly you preform the movement. The purpose of this exercise is to work on your posterior chain. This exercise works your lower and middle back muscles in addition to your glutes and hamstrings. 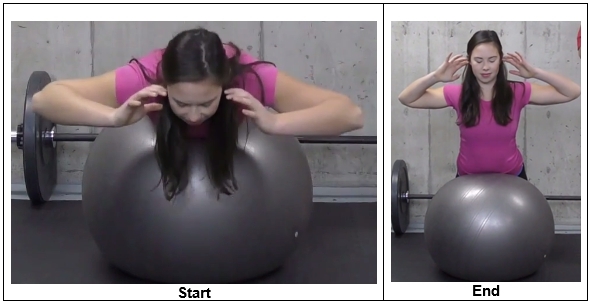 Begin this exercise while kneeling with your stomach lying on the stability ball. Place your feet against the wall and place your hands at the side of your head. Start by arching your back upward and then slowly lower back down to the ball. Begin with one set of five reps building up to ten reps. Preform each movement in a controlled and fluid motion holding at the top for one or two seconds. This is a light intensity exercise that you should feel in your lower back extensors and glutes. *Note: You can use some external resistance (like dumbbells or a plate) to increase the intensity of this exercise.. The purpose of this exercise is to strengthen your core and abdominal muscles. In addition this exercise will help strengthen the muscles that stabilize your hips and shoulders. Begin with a four-point position keeping hands beneath your shoulders and your knees beneath your hips, about hip-width apart. Be sure to keep you head, your shoulders, and your hips in good alignment to each other. Now reach out with one are and the opposite leg, hold for two to four seconds, building up to ten seconds. Return to the starting position and repeat the move with your other arm and leg complete one rep. Begin with one set of five reps and build up to ten reps. Be sure to preform this movement in a controlled and fluid motion. This is a light intensity exercise that you should fell in your lower back, abs, shoulders and hips. The purpose of this exercise is to strengthen your middle and lower back. This happens as you are pushing your forearms and elbows up against the wall. Further more when you are in the wall squat position. You will be working the muscles around your knees and hips. Start by sitting against the wall, bending your knees to 90 degrees. Be sure to maintain good alignment with your head, shoulders and hips. Now slowly raise your arms up the wall reaching as high as you can pausing for two seconds at the top. Finish by slowly bringing your arms back to the start position to complete one rep. Begin with preforming one set of five reps and build up to ten reps. You should feel this in pretty much all of your legs and hips. As well as in your lower to middle back and shoulders. This is a light to moderate intensity exercise. Take your time building up with this one and listen to your body! 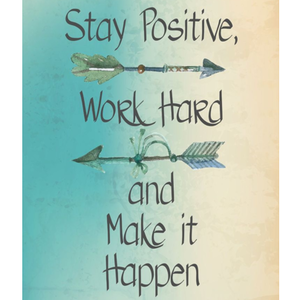 Do what you can at first and just continue working until you reach the goal! Well there you have it folks! Five amazing home exercises for lower back pain. Give these exercises a try, they have worked great for me and I am betting that they will help you as well! Tired Of Your Back Pain Keeping You Sidelined? In this article I have only shown you what I have learned from Rick and his program. However I choose to share this with you because of what his program has helped me achieve! If your are tired of your back pain keeping you sidelined. Then I highly recommend that you check out Rick’s Fix My Back Pain training program right now! Rick is a injury expert and I know he can help you as he has me and hundreds of thousands of others with his training programs! Another thought is that if you are a health and fitness professional. You might be able to use this program to broaden your knowledge base and bring added value to your own clients. If you would like to receive more information on the Fix My Back Pain program. Or to learn where you can get it, simply click on the blue box located just below. If you like to read more on lower back pain. Please check out these related articles. How To Relieve Lower Back Pain At Home. Stretches That Help Lower Back Pain. I Would Like To Thank You For Stopping By & Visiting Us! If you have any questions or comments please feel free to leave them in the comment box located below. I will get back to you just as soon as I am able to! If you would like to receive more articles and updates like this you can sign up for the MyBodyMyMind.net Email Club right here! You will get all of our latest news and updates delivered right to your inbox for your convenience! Your email address is safe with us, as we do not share personnel information with any outside parties or agencies. It is simply so we can stay in touch with you! 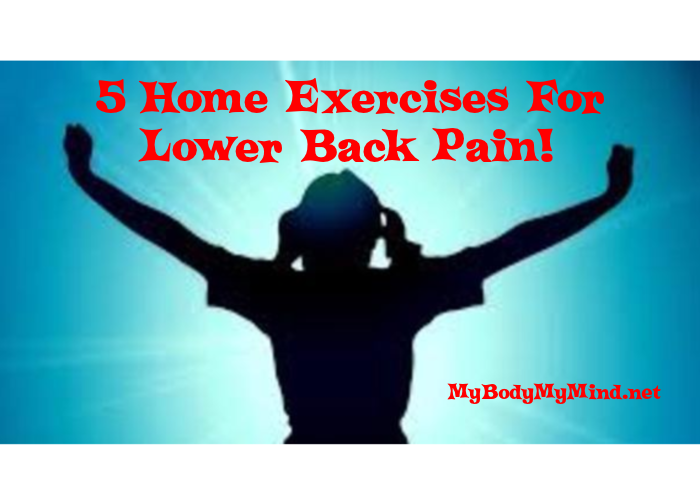 Thanks for checking out my article: Home Exercises For Lower Back Pain! Here are five great strengthening exercises for you to use at home! Give them a try today! Previous Post Previous post: Stretches That Help Lower Back Pain! Next Post Next post: Tight Hip Flexor Stretches For You To Try! This is exactly what I needed. I have suffered from back pain for a while and I used to do the same thing you mentioned. Lay around and sleep all day, trying to feel better. But I realized that wasn’t helping me and I tried doing some exercises. Although I have gotten a bit better, I realize there’s a lot of work still to be done and these exercises you’ve provided are great! I have no doubt that these exercises will help you. Just start slow, the idea is to build strength. More than likely your core muscles, especially the smaller ones, are way out of shape. So don’t be in a hurry, no need to risk worsening your problem. Try these out, I will be sharing more exercises from Rick in the future, so you can come back to check those out. If you find that you are struggling, or if you just want to learn more I recommend that you check out the Fix My Back Pain program. It has helped me a ton. Rick will cover some dietary principals along with a full strengthening and stretching program for you. This guy really knows what he is doing. The best part is that it not expensive at all. It is a digital product so the cost is less than $20! Matt best of luck to you, please drop by again and let me know how things are going for you! Hey Brendan, thanks so much for taking the time to explain these exercises. I have personally known a couple of people with sever back pain in my life and they have had similar experiences to what you describe. However, you didn’t mention one of the most fundamental exercises I have ever come across regarding lower back pain – the infamous back-bridge. What are your thoughts on bridging for back pain? It has been helping me immensely with even my posture as well. Would love to hear your ideas on that. I love Bridging exercises! I think that they are far to often overlooked. Or thought of as beginner moves. Back bridges are a great way to strengthen those supporting core muscles as well as stretching the front of your entire body.. They also work every single muscle in your back, as well as nearly every other muscle in your body. However I do think that it is important to know your limits with Back Bridges. In some cases people go to far to fast, adding to the problem. Also there are some injuries that this may not be good for. All in all, I would certainly recommend Back Bridges to anyone that suffers from back pain, they can help a great deal. I had not mentioned them in this article because that is a topic for an article all it’s own. So be on the look out! Michael, Thanks for bringing up a great topic and for checking out my article! Keep your eyes out for the upcoming article!